Cutting Oils and Fluids from Buckeye Lubricants include 530SP, 600SP, 600SP-MED adn #9. Buckeye Lubricants manufactures a number of cutting oils and fluids and the more popular ones are detailed below with links to data sheets for each one. 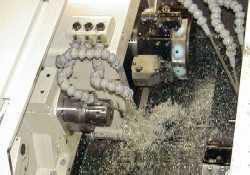 Buckeye 530SP was designed to provide premium performance on Swiss style CNC machines. It feeds and speeds to be increased and is extremely effective on difficult materials like Titanium, Hastalloy and Stainless Steel. Buckeye 600 is premium synthetic cutting fluid designed to allow feeds and speed to be maximized on Swiss style CNC machines. It is oustanding with all materials and in particular optimizes performance with tough materials like Titanium, Hastalloy and Stainless Steel. Buckeye 600SP MED is a specially modified version of 600SP that incorporates no additives that are undesirable for medical industry applications while still providing comparable performance. Buckeye #9 Cutting Oil is an all-purpose cutting oil that is suitable for most applications but provides exceptional performance on aluminum. 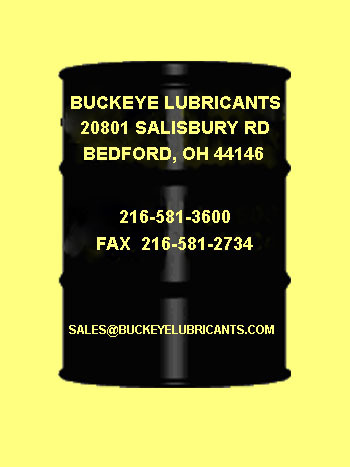 Review this site to learn more about Buckeye Lubricants and the wide range of standard and custom products that are available, then contact us for more information and for samples to evaluate. Credit card orders accepted by phone or e-mail.